Balloons Around The World is a made-up holiday that aims to spread cheer around the world. It is celebrated annually on October 1. Colorful balloons bring a smile to people's faces. The unofficial holiday was created by Jeff Brown in 2000. The holiday encourages people to use balloons and the art of balloon twisting and decorating to bring smiles to the faces of those around them. Balloons are bags, usually colorful and made of rubber or latex that can be filled with air or gases like Helium. 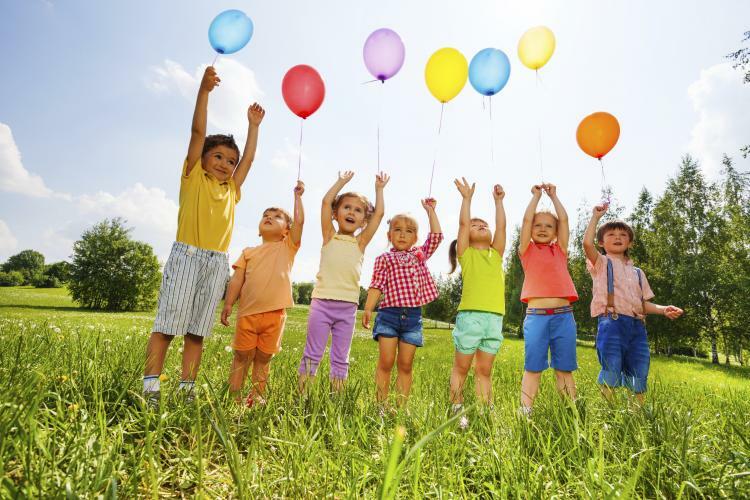 Early balloons were made of animal bladders. While balloons are frequently used for decorative purposes, they can also be used for transportation, to gather atmospheric information, and by doctors to open up clogged arteries. Have a party and use balloons for decoration. Learn how to make balloon animals and objects. If you already know how to make balloon objects, make some and give out to random people on the street and see them smile. What about taking that special one on a hot air balloon ride? …that rubber balloons were invented by scientist Michael Faraday in 1824? Be nice to your neighbors and get to know them better. Fill up your glass with Hot Mulled Cider and welcome the colder fall (autumn) months. Treat yourself to a cup (or two or as many as you like) of delicious coffee. This literary holiday commemorates a key day in Jules Verne's novel, Around the World in Eighty Days.